Marguerite Gray has read 36 of 125 books. Marguerite Gray read 129 books of her goal of 120! Marguerite Gray read 116 books of her goal of 95! Marguerite Gray read 98 books of her goal of 25! Marguerite Martin Gray is the author of Hold Me Close, Surround Me, and Bring Me Near-- Revolutionary Faith Books One, Two and Three. She enjoys studying history and writing fiction. 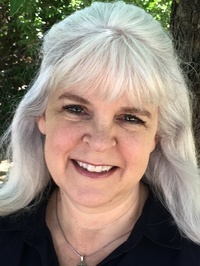 An avid traveler and reader, she teaches French and has degrees in French, Spanish, and Journalism from Trinity University in San Antonio, Texas, and a MA in English from Hardin-Simmons University in Abilene, Texas. Marguerite is a member of American Christian Fiction Writers, Abilene Writers Guild, Daughters of the American Revolution, South Carolina Historical Society, and Preservation Society of Charleston. She currently lives in North Louisiana with her husband. To ask Marguerite Martin Gray questions, please sign up. Marguerite Martin Gray Book Two in the Revolutionary Faith series, Surround Me, is being edited at this time. I hope to have it released in the summer/fall of 2016. We’d love your help. Let us know what’s wrong with this preview of Love's Awakening by Laura Frantz. We’d love your help. Let us know what’s wrong with this preview of Magnolia Summer by Melanie Dickerson. Life is a journey—an unpredictable one. Samuel Grant doesn’t know that the journey he sets out on will be harder than the one he has just completed. His faith, his heart, and his physical strength are tested as he determines his mission is to safely Life is a journey—an unpredictable one. Samuel Grant doesn’t know that the journey he sets out on will be harder than the one he has just completed. His faith, his heart, and his physical strength are tested as he determines his mission is to safely deliver Moriah and her baby to her people. We’d love your help. Let us know what’s wrong with this preview of Fire Along the Sky by Sara Donati. We’d love your help. Let us know what’s wrong with this preview of Finally Accepted by Toni Shiloh. Thank you for becoming my friend. I hope you have a wonderful week.